Although it is an economically advanced European country, Spain has a fairly high poverty rate. There are large gaps between the poor and the rich, which has led to discrimination against children from poor families. This prevents them from fully realizing their rights. Spain has a difficult obstacle to overcome: poverty. More than 20% of the population lives below the poverty line. This statistic is tragic for a country where the standard of living is so high. This has negative consequences for the state of children. Since they have insufficient financial support, these children have limited access to education, health care and nutritious food. The Spanish health care system is fairly well developed. Medical personnel and materials are made available to the population. Additionally, health care in Spain is free, which is an important element in the fight against discrimination. Nevertheless, the percentage of people with HIV remains fairly high. The health authorities must continue information campaigns regarding how to prevent transmitting HIV to children in order to limit the spread of the disease. 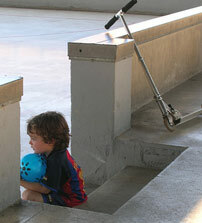 Despite the presence of child protection services, Spain reports many cases of child abuse each year. About 800,000 cases of domestic violence were reported in 2007. Victims of child abuse can be either the witnesses or the direct victims. It is tragic that some children are killed because they are of different nationalities. Migrant children who are held in detention centers are victims of physical and psychological violence, as well. Sometimes they are deprived of education, playtime and trips outside. They are isolated within themselves and become even more aggressive. A 2009 report from the National Mediator mentioned that they had to administer medicine in order to calm many of the children. Spain is faced with a large amount of immigration from Africa and Eastern Europe. These migrants or refugees arrive in groups and often bring their children. 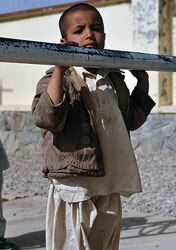 The children, vulnerable and weak, often have to walk for hours or hide in trucks in order to arrive in Spain. The trip can turn out to be deadly and some lose their lives along the way. Once they arrive, their situation is not guaranteed to get better. Many of these minors find themselves alone in Spain without their parents. Without food, they are faced to live in the street with limited access to water. The Spanish government must improve their response, but also the conditions that the children return to in their home country. Roma children and migrant children are affected the most. Primarily due to their foreign origins, their access to education is limited, or even prohibited. Positive steps have been taken, however, there is much left to do. As a signatory of the International Convention on the Rights of the Child, Spain must attempt to eradicate all forms of discrimination that affect children in their country. In Spain, according to the current law, foreign children receive the same legal and criminal protection as Spanish children. In reality, however, this is not the case. Migrant children, for example, are faced with slow responses and delays from the Spanish authorities. These children are then placed in detention centers where their rights are not always respected.